I got a library card last week! So now I’m settling in with some good reading. 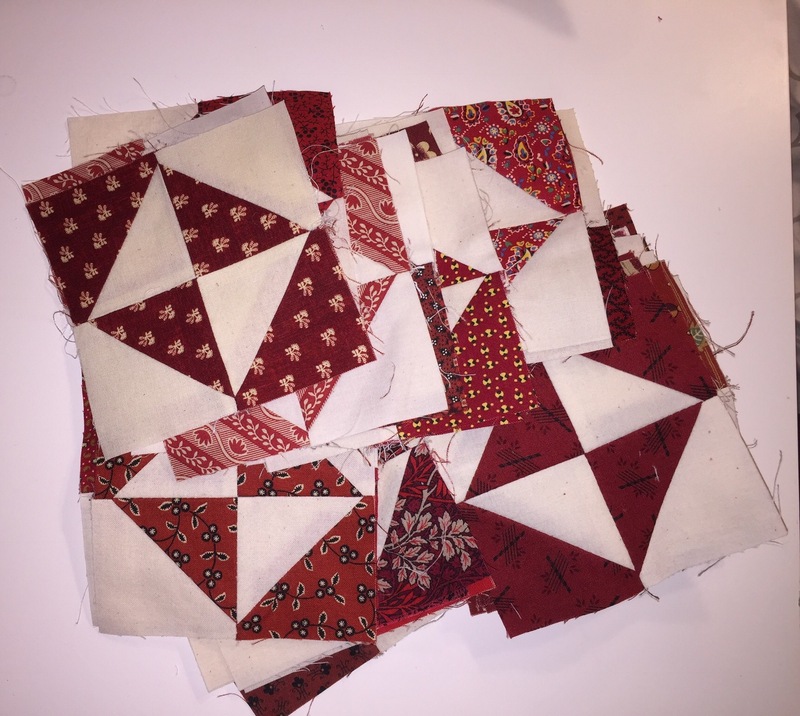 I got my swap blocks last week from the Broken Dishes Swap hosted by Barb at Fun with Barb. Aren’t they beautiful? I went to several quilt shops last week with some friends. I picked up some of this on clearance. I think it will go perfectly with my swap blocks. Now THOSE blocks, I adore! LOL It looks like you have a great library in town and plenty of good reading to do. You found ALL those books at the library?! Lucky Lady. My library only has old and tired quilt books from the early 00s. …and I can’t wait to admire your work ! Congrats on the card! 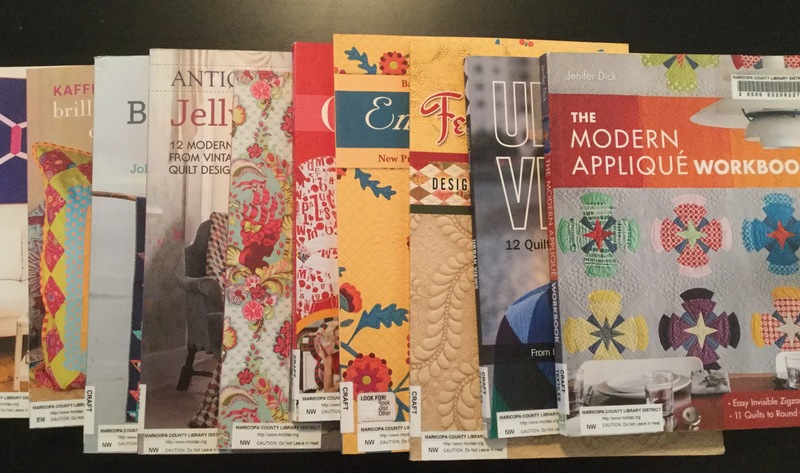 I’ve found it’s a great way to check out quilt books before deciding to buy. Nice assortment of library books, Katy…..
Love your Broken Dishes swap blocks! 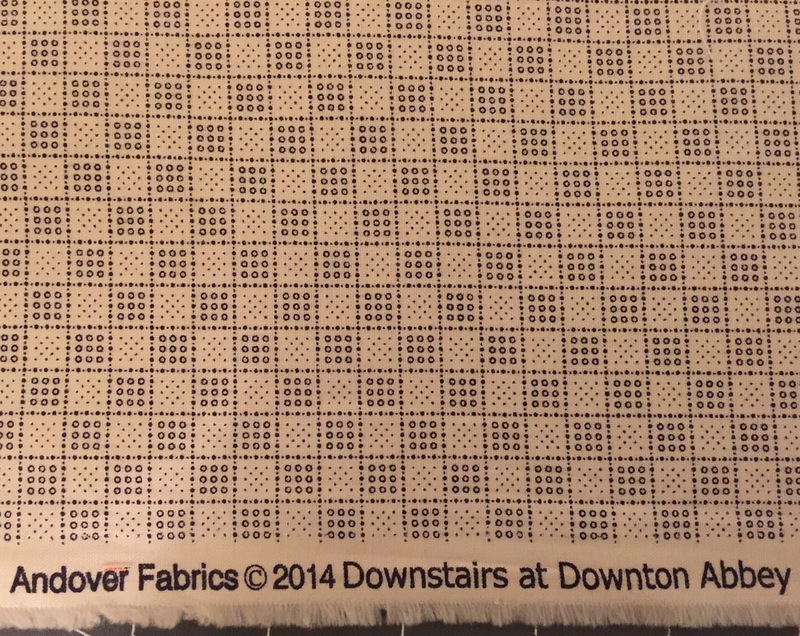 And your fabric purchase will make a great backing….